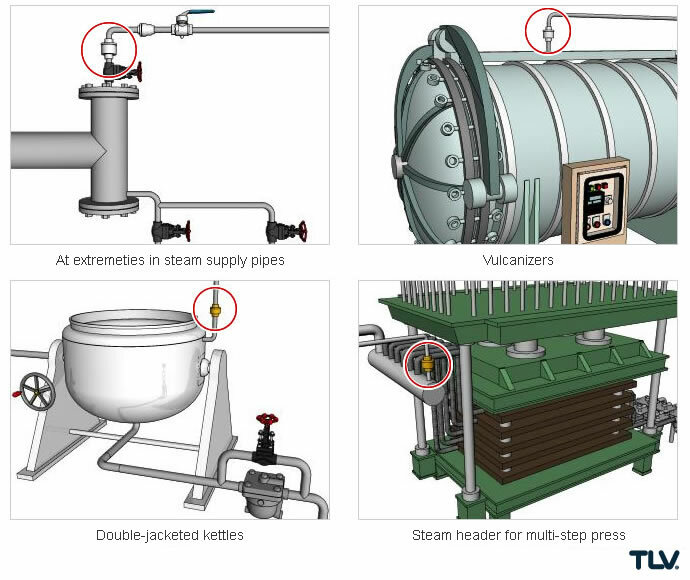 These air vents are used to discharge air that builds up inside steam supply pipes and in steam-using equipment. 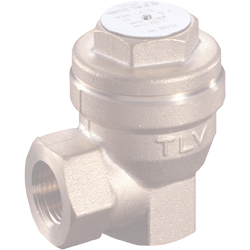 The valve operates based on the difference between the temperatures of air and steam. 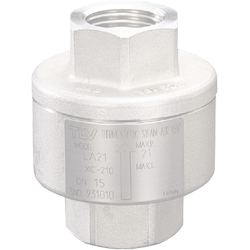 The built-in X-element is used to detect this temperature difference, enabling the vent to discharge not only initial air upon startup, but also air which enters the vent during normal operation. This makes these air vents the ideal choice for batch processes. Additionally, when temperatures inside the pipes and equipment drop and pressure lowers, the automatic air vent will act as a vacuum breaker, allowing air in and preventing the formation of a vacuum in the system. Double-jacketed kettles, pressing machines, vulcanizers, etc.